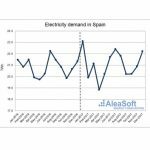 January 9th, 2018.- The Spanish wholesale MIBEL electricity market broke the minimum hourly price 4-year-old record during the first day of 2018. 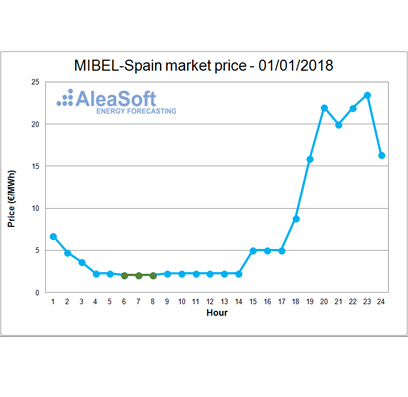 On January 1st, 2018, between 5 a.m. and 8 a.m., the hourly price in the Spanish MIBEL electricity market was 2.06 €/MWh. In the almost last 4 years, the hourly price of the market did not go below 2.30 €/MWh, and the previous lower price was in March 2014, a year with many hours at a price of 0 €/MWh. 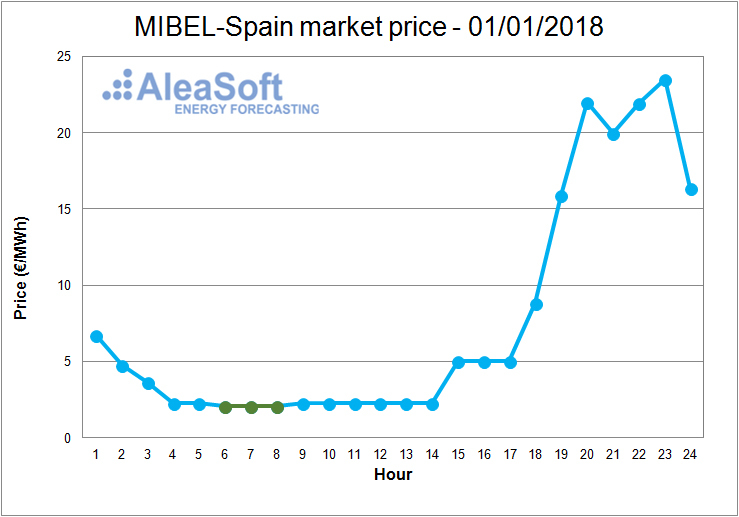 Spanish MIBEL day ahead electricity market hourly price with the three hours that broke the minimum price record. MIBEL electricity market have started the year with relatively low prices, especially taking into account the price levels reached in 2017. 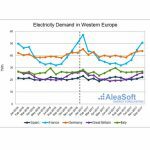 The fall of electricity demand during the winter holidays season and, mainly, the increase of the wind energy production have favored the decrease of the price. The price at the beginning of the year, together with the rainfall registered during the last weeks of 2017 foresee lower prices in the first months of 2018.